Violet was my favorite character to write in the first book, and I'd have to say she remained my favorite for this book too--which is great, since she was the pov character this go-around! I loved delving deeper into her thought processes and trying to put myself in her shoes; she's unique--a clone with a very complicated history--and capturing her on the page was both challenging and enlightening. Her sidekick, Seth, was fun to write too. Most of my favorite scenes involve both of them and their banter, so I guess they technically tie for "favorite character." 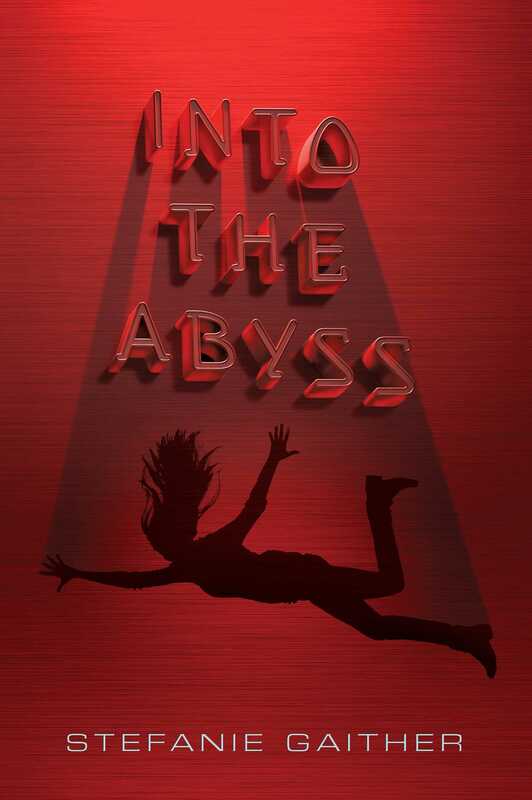 If Into the Abyss had a theme song what would it be? How did your writing process change between Falls the Shadow and Into the Abyss? Catelyn (the main character in Falls) and Violet (the main character in Abyss) are two very different people, so it took me a bit to get used to writing things from Violet's perspective, and to keep myself from slipping back into Cate's voice. It was especially difficult because Cate is a lot more similar to me than Violet. So, with Falls, there wasn't really much to think about--Cate's voice just sort of flowed out, and she felt like someone I'd known for a very long time. I knew what she would think and do about most scenes before I'd even written them. Violet, on the other hand, felt like someone I was gradually getting to know as Abyss progressed. She was full of surprises, and I found myself revisiting a lot of scenes, reworking her characterization to let the "real" version of her shine through as I discovered more about that "real" version in later scenes. As for the overall process...this book was different to write simply because it had an actual contracted deadline. I actually wrote Falls in about the same amount of time as Abyss took, but I didn't have to write it that quickly. I didn't even have an agent yet when I wrote Falls, so there was no pressure, really; no one was waiting for that book or expecting it to be publishable (or close to it). So Abyss required working in a different sort of mental state, and being more aware of time management (particularly since I had a baby one month before Abyss was due, which complicated things in a beautiful, wonderful sort of way). Can you give us any hints about a third book, or maybe something new you're working on? No more clone books planned at the moment, but I'm currently working on a fantasy novel that features a cursed heroine who might actually be a villain. And also there's lots of dragons and blood and weird magic. High fantasy was actually my first love as a reader so I'm really, really excited about this new, weird little book. After co-managing a coffee shop for several years while simultaneously earning my B.A. in English, I left the small business world behind to focus on my author career instead. Now, in addition to penning YA novels, I also work part-time as a copywriter for an advertising agency. I live near Charlotte, North Carolina with my husband and our incredibly spoiled Shih Tzu. One day I’ll stop being lazy and write a more interesting bio, but for now, you’re stuck with this.